The turbulator uses a fixed-vane vortex design that turns your intake manifold into an efficient fuel mixing chamber. The result is no more flat spots, just a crisp clean throttle response throughout the powerband. Complete atomization also increases fuel mileage. 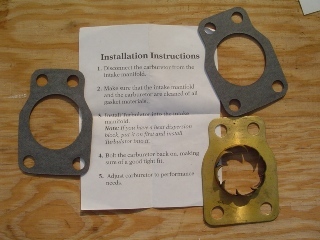 Fits 4 bolt Linkert manifolds.